Natural gas is an extremely versatile fuel that provides reliable energy for heating, cooking and electricity production, giving you the energy you need for furnaces, fireplaces, stoves, generators, dryers, water heaters, and more. At UGI, we pride ourselves on being a responsive, engaging energy company that distributes the best fuel option for consumers who want affordable, efficient and clean energy. The cost of natural gas stays low and stable as 96% of the gas consumed in the U.S. is produced here, domestically. In particular, the Marcellus Shale continues to help keep the supply of natural gas plentiful and reliable, which keeps pricing consistent. The average savings for households that use natural gas for heating, cooking and clothes drying is $874 per year compared to homes using electricity for those applications. 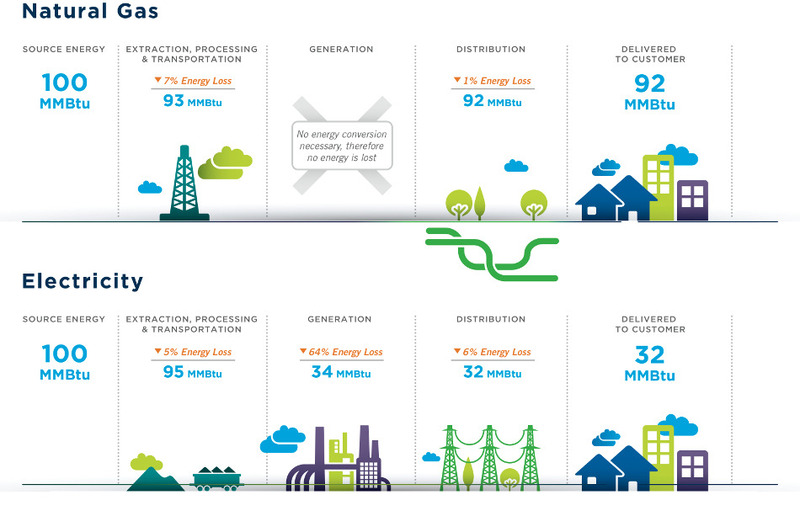 Compared to other fossil fuels, natural gas is the most efficient, particularly in power generation. When it comes to electricity, there is an extreme loss in energy throughout the process of generating, transporting and distributing from the original source. In addition, America’s natural gas utilities continually demonstrate their commitment to promoting cost-effective practices aimed at increasing energy efficiency. Together, utility companies invest and budget for natural gas efficiency programs yearly, spending $1.3 billion in 2016 and putting aside $1.5 billion for the 2017 program year. Because of this, the average American home now consumes 40% less natural gas than 40 years ago, thanks to technological advancements within the industry. Natural gas is the cleanest of all the fossil fuels. An increased use in gas can help improve the environmental impacts of smog, acid rain, and greenhouse gas emissions. When used for water and space heating, cooking and clothes drying, natural gas creates about 30% fewer greenhouse gas emissions versus electric. Annual carbon emissions are reduced by 66% by switching from oil heat to natural gas, and 166% by switching from electric heat to natural gas. 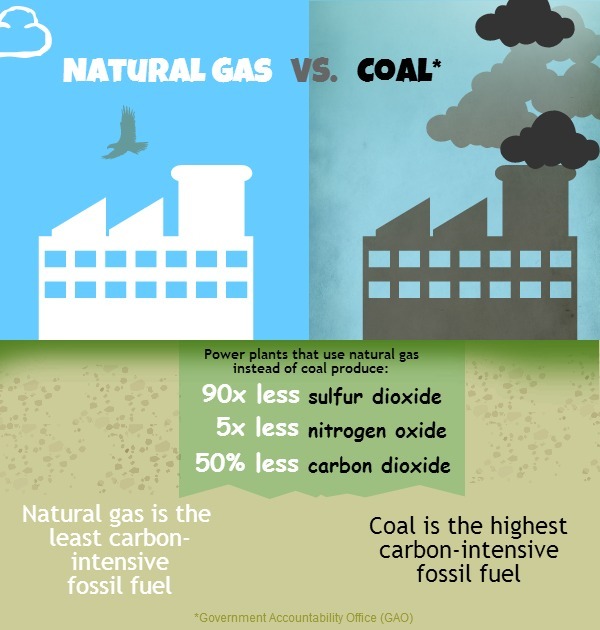 Coal and oil, when combusted, release higher levels of harmful emissions, including sulfur, nitrogen, and carbon dioxide. To enjoy the comfort, warmth and savings of natural gas in your home, go to www.ugi.com/upgrade to check natural gas availability in your area. To find out why you should consider making the switch, read Natural Gas Living, a publication dedicated to educating users about the advantages and industry of natural gas.